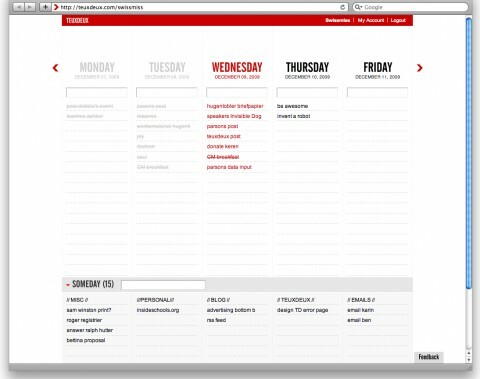 At a recent Net Tuesday event, I learned about a simple, free online tool to manage your to-do list called “TeuxDeux”. It’s pronounced, of course, like “to do”. Experts say that the average worker gets almost 50 to 60 interruptions each day and that these interruptions can consume almost 50 per cent of the average workday. It’s little wonder that our to-do lists are getting longer and more vital. Without a good to-do list, how can we hope to keep track of all those goals and tasks coming at us from all directions? TeuxDeux may be a solution for your to-do list woes and you might like to take it for a test drive. It’s a simple, clean online program that works very much like a paper to-do list but with some nice little functions. For instance, it automatically moves over any of today’s unfinished tasks to the next day’s list, thus obviating the tedious chore of creating a brand-new to-do list each day. For tasks in the future, you can use TeuxDeux to scroll forward and add appointments and jobs, so it can do double-duty as an appointment calendar. Each time you complete a task you have two options – delete it or cross it out. By crossing it out, you maintain a record of your past lists. But how do you handle those pesky “some day but not today” tasks that you don’t want to lose sight of, but that just cause stress by sitting and glaring at you from your daily to-do list? TeuxDeux has a “Someday” section at the bottom that allows you to easily keep track of projects that you plan to get around to… someday. One way I use this section is as a convenient storage place for ideas for future blog posts. I’m not saying that TeuxDeux is the magic solution for your ever-increasing list of responsibilities, but you may want to give it a try to see if it works for you. It’s free (for now at least) and takes just moments to start using. Take a minute to watch their little video so you know how to navigate around. So now I have an online to-do list. However, nothing will ever replace the tactile and visual pleasure that I get from my beautiful Paperblanks dayplanner which I use for appointments and which always lives in my purse. 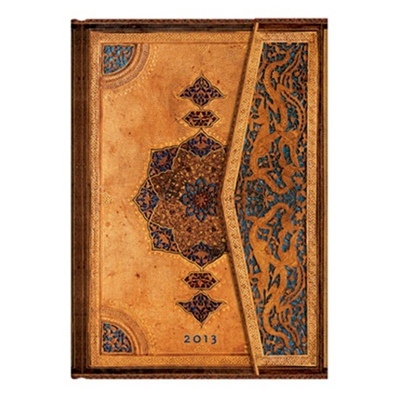 Knowing what a philanthropic company Paperblanks is just gives me added pleasure.